Every business has to follow a certain accounting cycle in order to record the business transactions. Some businesses follow a January to December cycle while other businesses may follow an April to March cycle. The choice of the accounting year or the fiscal year depends on the business requirements. The fiscal year is usually a 12 month period over which all the business transactions are recorded. At the end of this period financial statements are prepared to review the performance of the business. These business requirements for the accounting year can be mapped into SAP by using a two alphabet identifier called the fiscal year variant. A posting period is a period contained in the fiscal year over which transactions are recorded and clubbed together. Every transaction that is recorded in SAP has to be assigned to a posting period. Normally, every month is considered as a posting period which results in a total of 12 posting periods in a financial year. The special periods are meant for the year-end closing transactions. It provides flexibility to the accounting department to make adjustment entries while executing the year-end closing process. Number of normal posting periods available in a financial year. Number of special posting periods available in a financial year. The duration of the accounting cycle i.e. a complete fiscal year or a shortened fiscal year. Whether the fiscal year is the same as the calendar year. Procedure to determine the current period while posting. The fiscal year variant is defined at the client level and is therefore available to all the company codes in the client. If there is more than one company code which uses the same fiscal year configuration, then the configuration need not be defined again and again for each of the company codes. The settings can be defined one as once as a fiscal year variant and can then be assigned to multiple company codes. This saves time during new implementations and also reduces the errors that may happen due to repeated manual entry. The fiscal year variant is first defined and then it is assigned to the company codes for which it is to be used. The fiscal year variant is one of the first configurations that is needed to be done while setting up the organizational structure in SAP. No transactions can be recorded without defining the fiscal year variant and assigning it to the company code. The fiscal year variant is used to define the normal and the special posting periods that are available for posting business transactions in a company code and the posting period variant is used to control which of these periods is open for posting. 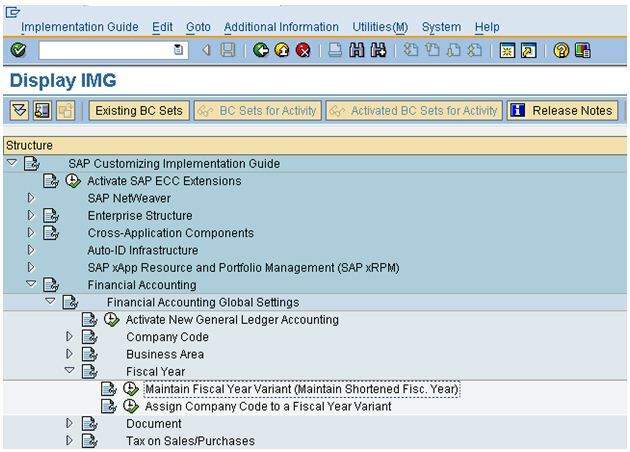 Navigate to the implementation guide menu as shown in the screenshot below or execute the transaction code OB29 from the SAP Easy access menu display the fiscal year variant configuration screen. Custom time functions are required when the standard functions and PCRs (Personal Calculation Rule) are not able to fulfill the complex business requirements. This tutorial explains the step-by-step process to create a custom time function to fulfill those complex business requirements. But, before we start the step-by step process we will see what are Schema and Time Functions? Schema and Time Functions: When Time evaluation report is executed, employee’s working and absence times are evaluated, the individual processing steps in this valuation are executed in a specific order. This specific sequence is known as Schema, and the individual processing steps are known as Functions. Schema in time management determines the sequence in which the functions (individual processing step) are executed in time evaluation. With the help of functions data is either provided back to the internal tables in time evaluation or sets a switch which is then used to determine whether or not to process any activity. Step 1. Go to transaction code PE04. In the ‘Name’ field, give a name to your custom time function, then select ‘Time management’ radio button from the Object class tab, and then select ‘Function radio button from the Object Type tab. Finally, click on the create button. 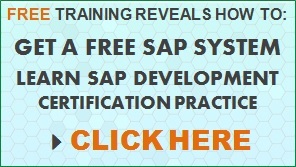 You will see a pop-up message, stating that the function can only be created in SAP package. Accept by clicking on “Continue” button. Step 2. Now, enter a description for your function and select the radio button ‘Standard name’ from the ‘Name of form routine’ tab. You can also define a custom name by selecting the ‘Self-defined’ radio button. Select ‘Other Counties’ checkbox from the Country assignment tab. GENERAL DATA:The general data consists of the customer address, country, contact person, etc. COMPANY CODE DATA: The company code data contains the data specific to a company code like the payment terms, payment methods, dunning procedures, etc. SALES DATA: The sales area data contains information like the sales organization, division, pricing, billing details, shipping details, etc. The customer master is extremely important for the Sales and Distribution as well as the Financial Accounting module. The details of the customer such as the payment terms, address, sales area, division, paying bank, payment methods, etc. are picked up from the customer master and provided to the other modules as and when necessary. 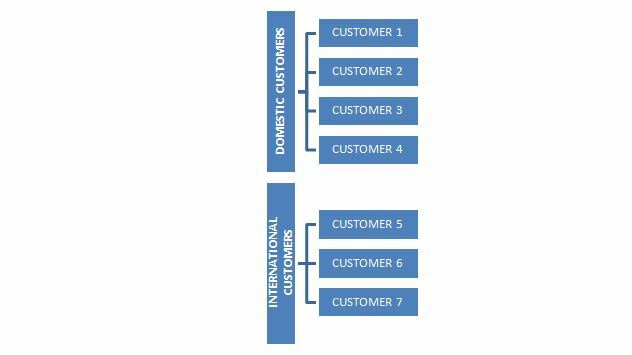 The total data for a customer master is stored in multiple tables. The General data pertaining to a customer is stored in the KNA1 table while the company code data is stored in the KNB1 table. The sales data for a customer is stored in the KNVV table. All these tables are accessed for information about the customer by the FI and the S&D module. A customer account group is used to group together customers by some criteria. For e.g. a business may have different account groups for international and domestic customers. 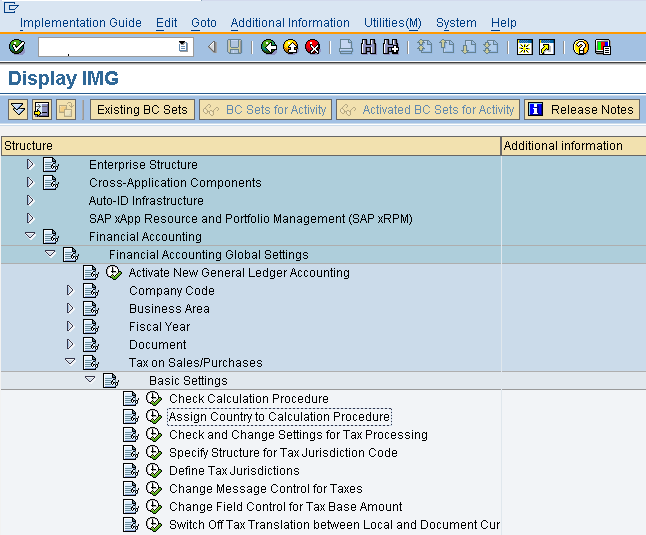 Tax configurations are done in SAP at the country level. This is because all businesses in the same country need to follow the same taxation policies and generally accepted accounting principles while preparing their financial statements. Therefore, tax configurations in SAP are done for each country. Any company code which is then created in that country can then automatically use the tax configuration that is done for that country. So tax configurations need not be done for each and every company code again and again. This saves the effort required to carry out the tax configurations for every company code separately. SAP allows the tax rates to be defined internally or the tax rates may be fetched from an external taxation system like Vertex. The tax configurations are stored in SAP in the form of tax calculation procedures and tax codes. These procedures can then be assigned to different countries. These procedures then become available to any company code which is created in that country. Tax on sales and purchases. Additional taxes like VAT which our country specific. Sales and Use tax as in USA. Withholding tax like income tax in India. Tax jurisdictions represent the government authorities to which the taxes are paid. SAP allows up to 4 levels of tax jurisdictions representing state, county, city and others. 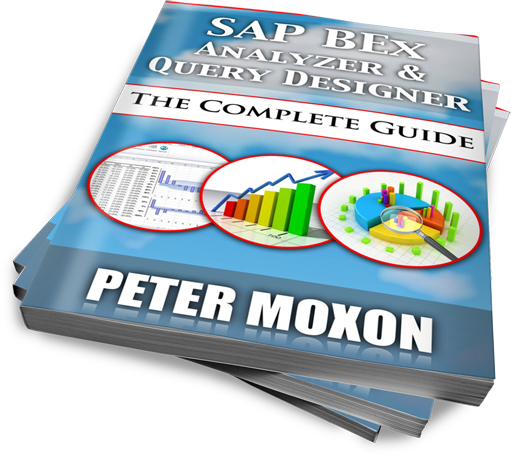 The tax jurisdiction structure needs to be defined before the tax jurisdictions can be created in SAP. As mentioned before, the tax jurisdiction structure can have four levels. The tax jurisdiction structure defines the length of characters which will be used to represent each level in the tax jurisdiction code. The tax jurisdiction code structure needs to be defined for every tax calculation procedure. Once the tax jurisdiction code structure has been defined, the next step is to create the actual tax jurisdiction codes. The tax jurisdiction codes need to be created for every government authority to which the tax needs to be paid. Step 1: The tax configuration details are stored in the tax procedure. The first step is to assign the tax procedure to the country in which the company code exists. 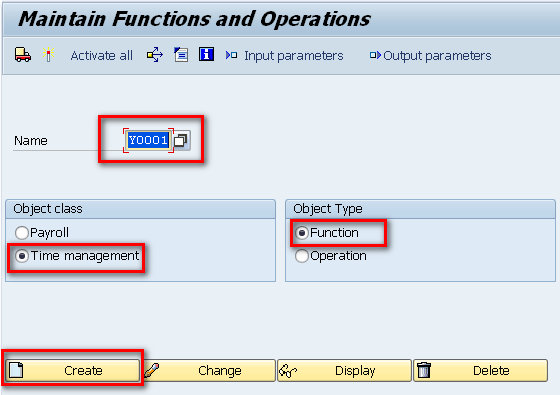 Navigate to the Implementation Guide menu path as shown below or execute the transaction code OBBG. SAP Portal iViews (Information View) are the most basic type of portal content which are used to integrate applications into an SAP Portal. If you want to show any information /service applications on the portal then you have to create an iView, which is then assigned to a page. Pages are then assigned to a workset and workset’s are assigned to roles. Finally, roles are assigned to users. Please ensure that your user ID has been assigned the ‘Content Administrator’ role. 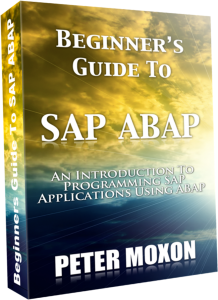 Namespace (Mandatory): This is always going to be SAP. Configuration Name (Optional): If you have created an application configuration then provide the configuration name in this field. Application Parameters (Optional): If your application has any parameters then you can give them here. 1. 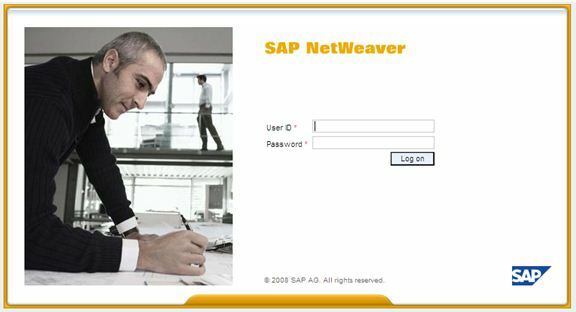 Logon to SAP enterprise portal by entering your user ID and password.